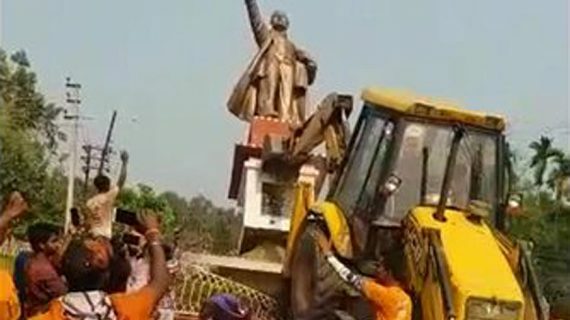 A statue of Lenin was razed in Tripura days after the BJP stunned the Left, which was in power in the state for the last 25 years. The Russian revolutionary’s statue was in the heart of Belonia town in south Tripura, 90 km from capital Agartala. 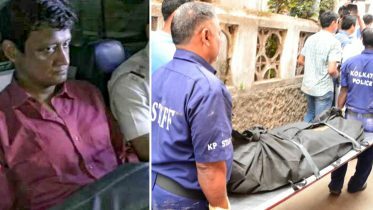 The Tripura police today said it has received four complaints of “post-poll” violence from various parts of the state since last night. The BJP won 43 of the state’s 60 seats along with a regional partner Indigenous People’s Front of Tripura (IPFT) in the assembly elections. Tripura was considered the Left’s strongest citadel, presided over by the CPM’s Manik Sarkar, 69, who had been chief minister for 20 years and was seeking re-election for the fifth consecutive term. The CPI(M) alleged BJP workers have gone on a vandalism spree in the last 48 hours. The state BJP has hit out, alleging people posing as BJP workers are behind the violence; Home Minister Rajnath Singh has spoken to the Governor and police chief, asking them to stop violence. Be the first to comment on "After BJP defeated Left, Tripura Violence, Lenin Statue brought down by BJP workers"